« Vintek Nutrition, LLC®: On the Forefront in the Effort to Fight Dog Diabetes. Vintek Nutrition, LLC® Discovered a Highly Effective Product to Combat Nasty Skin and Coat Conditions for Your Dog. Vintek Nutrition, LLC® discovered a highly effective solution to combat those nasty skin and coat conditions for your dog. Derived from research on our flagship product, Dia-Treaties® for diabetic dogs, we noticed the conditions (skin and coat problems and seasonal allergies, itching and hot spots) all the dogs in the study were experiencing were all disappearing. People began using our product after exhausting all veterinarian attempts to alleviate the suffering of their dog. Dogs that were subjected to a battery of expensive allergy tests, steroid shots, special shampoos and diets – all with no success – were seeing dramatic results from Sterling Coat®. Sterling Coat® has been tested for over 5 years and recently received a US patent. Another benefit noted was a sudden increase in vitality and energy. 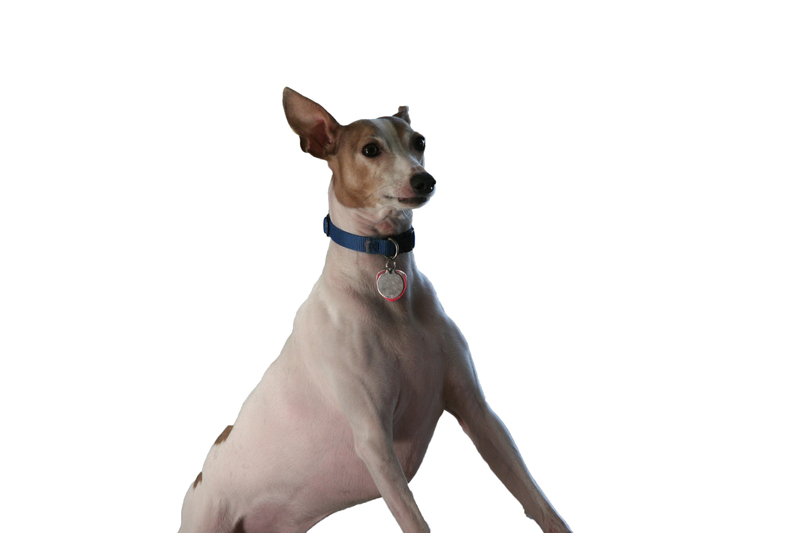 A dog’s health can be observed in its skin/coat condition and playfulness. Sterling Coat® is a synergistic combination of human-grade food ingredients made in the USA in an FDA-inspected facility. No drugs. 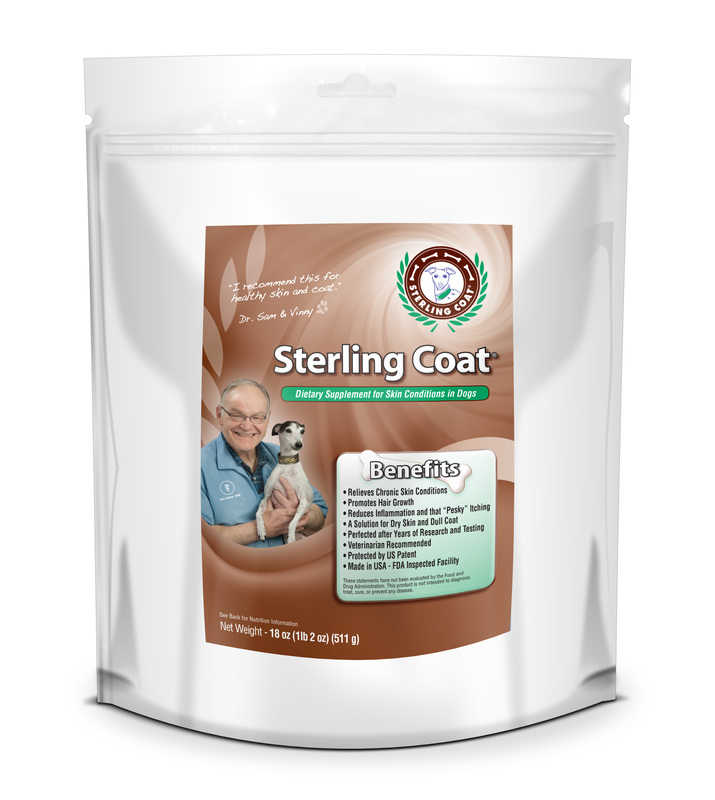 Sterling Coat by Vintek Nutrition. For your dogs skin and coat issues. This product is not intended to treat or cure any disease. These statements have not been evaluated by the FDA.